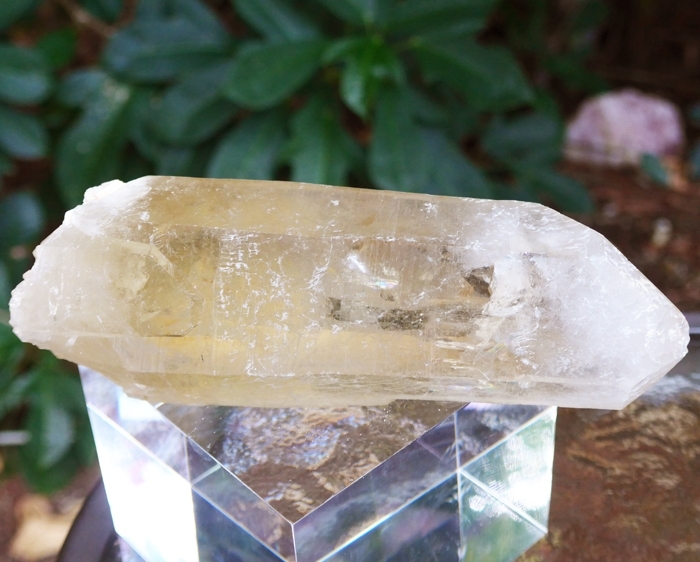 Dimensions (HxWxD): 5.4" x 1.75" x 1.5"
This gorgeous untreated, unpolished natural 5.4 inch high Multipoint Citrine Wand from Brazil weighs 12 ounces, or 340 grams, approximately 3/4 pound. 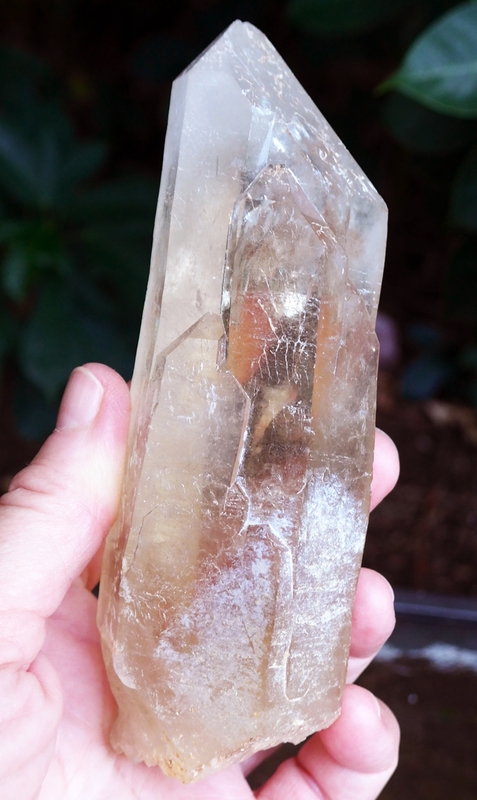 This beauty exhibits five small crystal points with shafts integrated into the sides of the shaft and the kind of deep golden coloration prized by mineralogists and Lightworkers alike. This beauty is filled with light! This remarkable altarpiece has an unblemished surface with a lovely finish, a flat base for display purposes, and is a good size to hold in your hand during meditation or energy work. 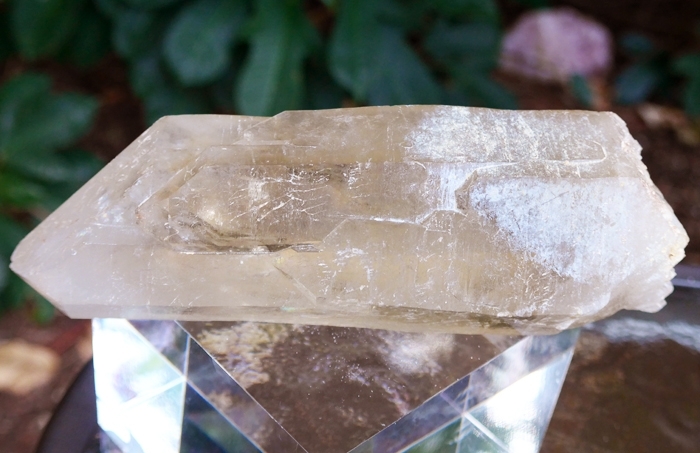 Citrine stimulates the crown chakra, our doorway to Cosmic Consciousness, and helps unite the seven lower chakras and the physical body with the energy frequency of the Higher Self, aligning the eighth chakra with the rest of the energy body. 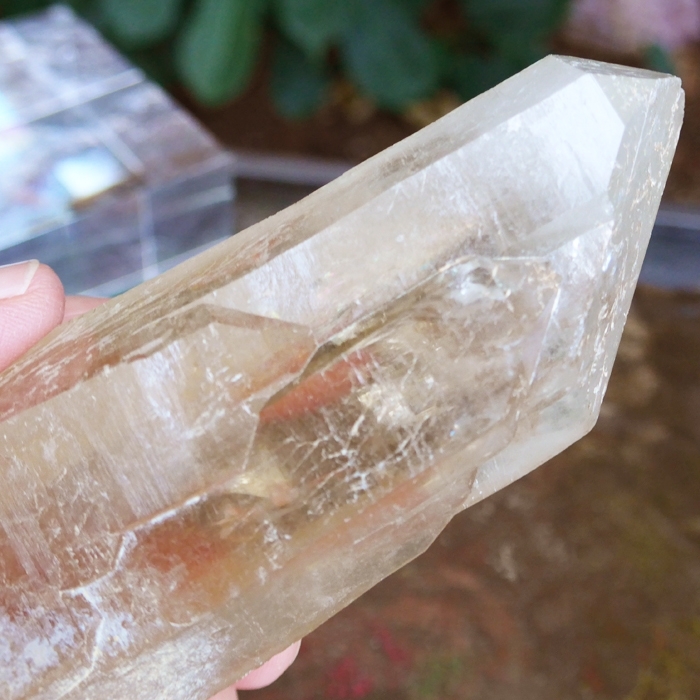 This crystal would make a lovely addition to any altar or night table. 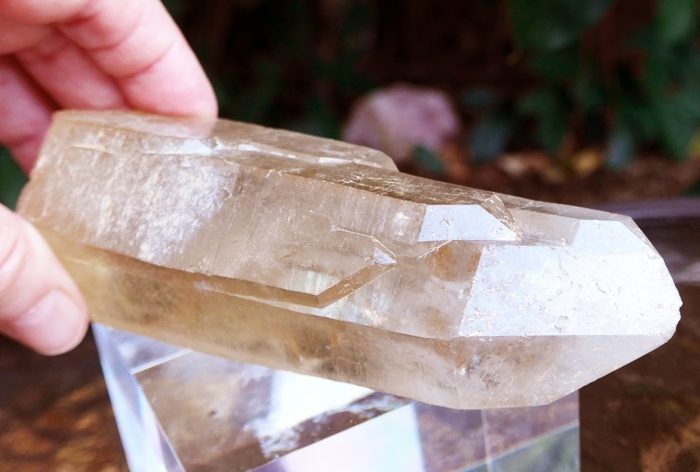 Knowledge workers could benefit from placing this Citrine crystal next to their computer, where its energy can help maintain the electrical equilibrium in the computer's vicinity, and its beauty could be admired by passers-by. The energy of this golden citrine altarpiece is powerful enough to alter the energy in its environment, and could easily be used to transform negative thoughtforms and negative emotions in an office environment. Citrine is a semi-precious stone, a rare, more energetically powerful form of quartz crystal, characterized by a yellow color, ranging from white to deep copper. It is less common in nature than amethyst (another member of the quartz family, and one of the two semi-precious stones present in ametrine) but both are found in quartz veins, as well as volcanic locations and elsewhere in nature. Note: weight above is shipping weight. Net weight is 12 oz., .75 lb., or 340 grams.